KRA Nil Returns applies to those who do not have a source of income sometimes referred to as the unemployed. Kindly note that every Kenyan, who has a valid KRA PIN is required to declare their annual income every year before 30th June of the following year. If not employed and do not have an alternative source of income i.e Rental, Business or Consultancy income you file nil returns. If you have a KRA PIN, the law states that you should file a return. If you have no income file a nil return. Failure to do so as indicated in the Tax Procedures Act leads to penalties. Please be informed that the penalty is now Kshs. 2,000 for late filing of individual returns. This is stipulated in the 2018 Finance Act. 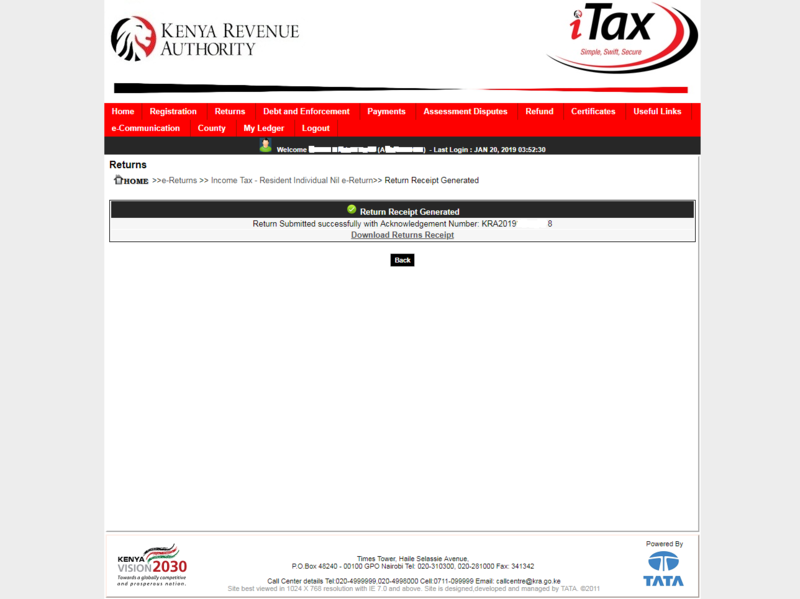 Once you have successfully logged into your iTax account (iPage) you should see the following as shown above. In you iTax account you can do a variety of tasks online. Our main focus for this blog post will be on KRA Returns. On your iTax account top panel menu, Click on Returns and then File Nil Return. In the type section, select Self. 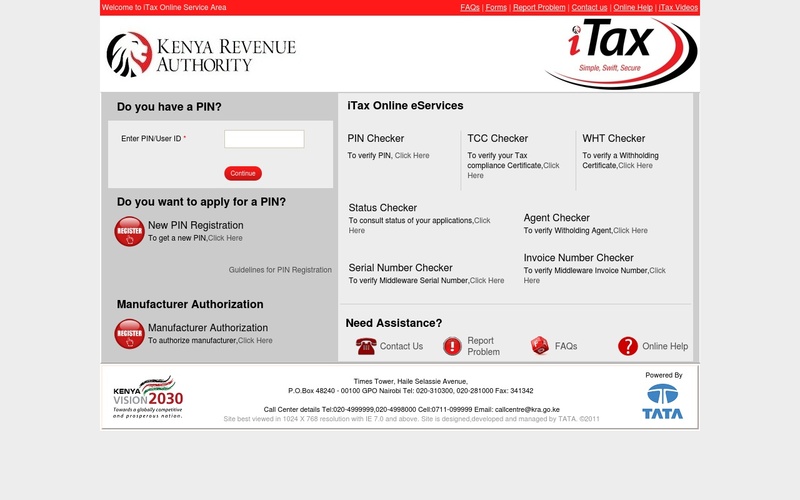 It will populate your KRA PIN Number and in the Tax Obligation – Income Tax Resident. Click Next to proceed. In this part, you select the return period. Since we are filing KRA Nil Returns for the previous year 2018, our return period will start from 01/01/2018 to 31/12/2018. The return period to automatically autofills by itself. Click on the submit button to proceed. 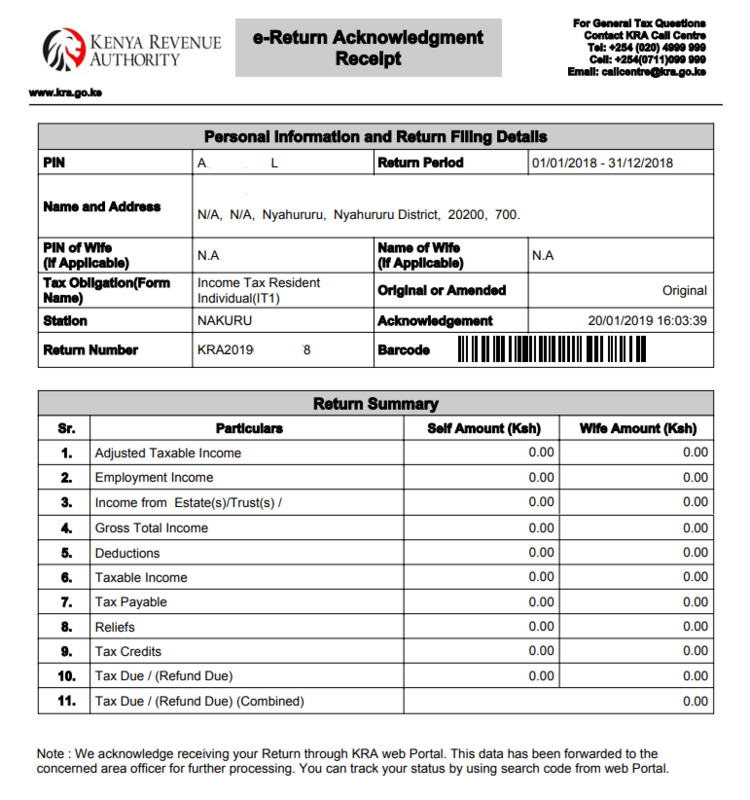 Upon successful submission of your KRA Nil Returns, a return receipt will be generated with an acknowledgement number. Download the returns receipt and print a copy of it. 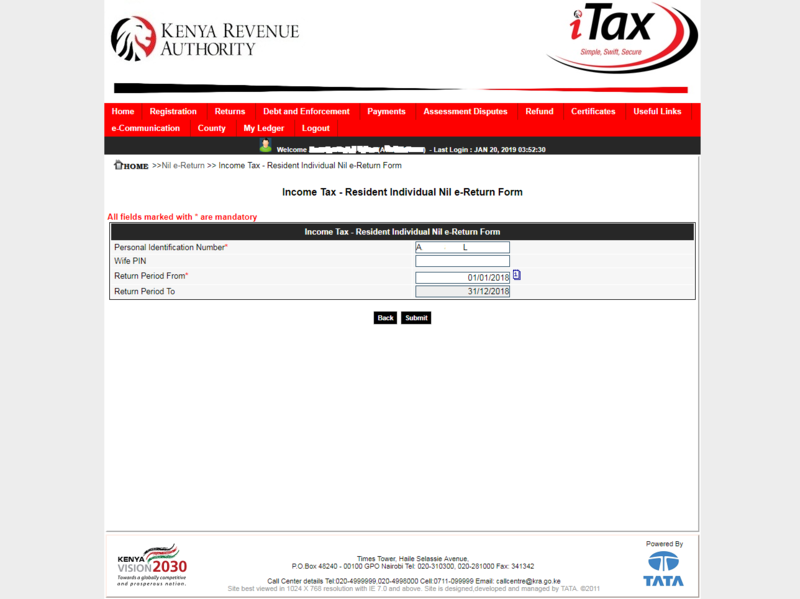 The last and final step will involve printing the KRA e-Return Acknowledgement Receipt that you downloaded. This is a final indication that you have successfully filed the KRA Nil Returns for the year 2018. 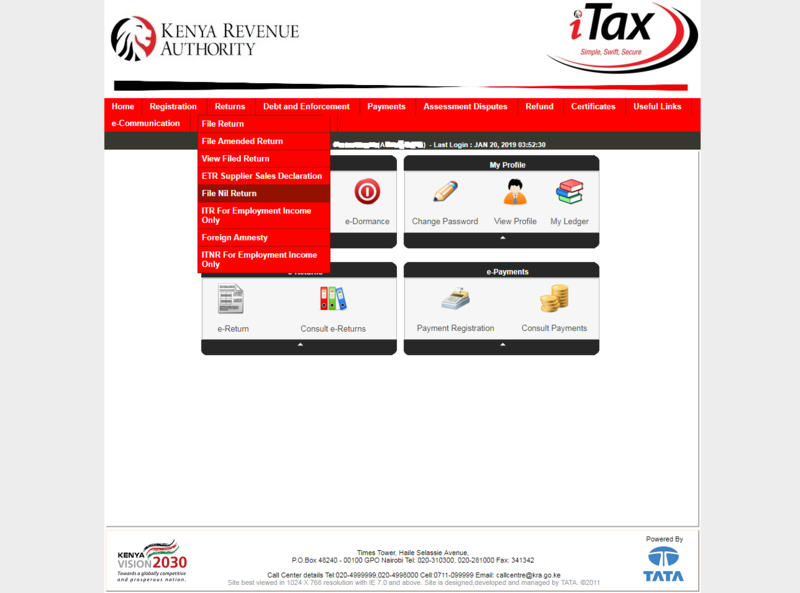 And there are the 7 core and important steps on How To File KRA Nil Returns on iTax. Share with all your family, friends and relatives. Tell a friend to tell a friend to file KRA Nil Returns early this year before 30th June 2019. Remember the earlier you start filing your KRA Nil Returns the better. Avoid last minute rush that will lead to a penalty of Kshs. 2,000/= for not filing your KRA Nil Returns. There are no extensions for that period. Are you unemployed but have a PIN? If yes, remember all PIN holders must file returns even when you have No source of income. 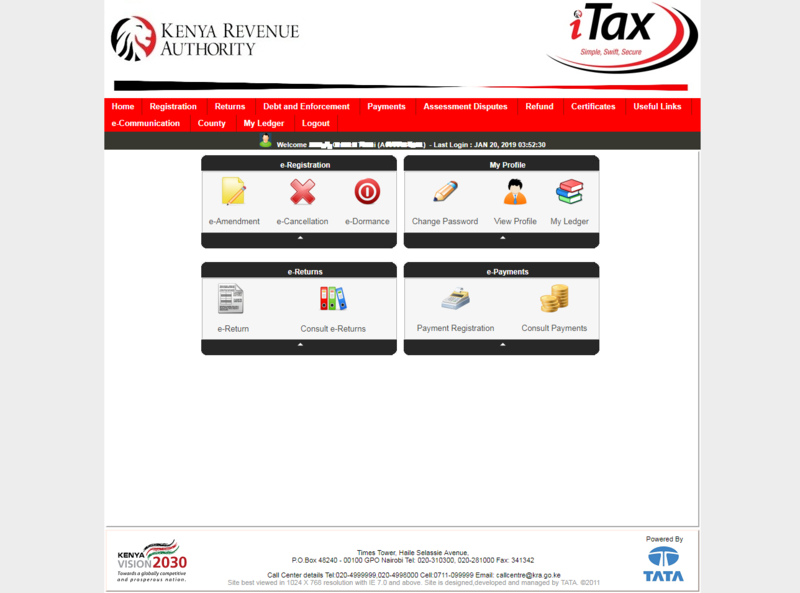 Do you need to visit a KRA office once you file online? No, you do not: once you file your returns you will receive an acknowledgement receipt in your email. You can download a copy from your online profile. Do you need to file your returns if you registered for a KRA PIN this year? Your Individual Income Tax Returns are due immediately after the end of each year i.e. 31st December.